Then MoneyMaxim can help - click 'Get a Quote', pop your details in, and a panel of specialist insurers will start searching out appropriate policies for your business. You can select from any drivers over 21, or reduce your premium by choosing any driver of 25. 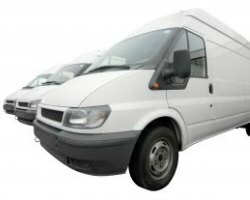 By asking for a quotation for your any driver van insurance, you get a number of brokers and insurers competing for your business. Not only will this allow you to compare costs and premiums, but it will mean you can compare different features of a range of policies and tailor them to the type of use you require. Without seeking quotations from a number of companies in this way you may not be aware of all the options open to you as often a single company or broker will only make you aware of the details of their particular policy. To get the widest choice of quotations simply fill out your details, or alternatively, if you prefer, call for a quote over the phone. Companies able to offer telephone quotations include Autonet (0800 080 5295 quoting reference 9032) or Insurance Choice (0843 2270120). Can previous no claims records on individual policies be taken into account? Many insurers will take into account previous good driving records. Can you implement age restrictions? If all your drivers are over 21, over 25 or over 30, tell your insurer, as limiting drivers to those more experienced can cut your motor fleet insurance costs. One of the advantages of using this service is that you will be able to discuss in depth with an insurer your any driver van insurance needs - do always ask them whether there are any amendments you can make to the policy that will reduce your costs. You may find that a 'benefit' that is worthless to you can be removed, thereby reducing your premium.